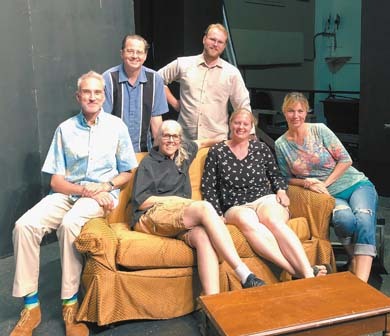 There are changes happening over at Maui OnStage at the Historic Iao Theater in Wailuku and excitement is brewing, and I’m not talking about the upcoming new season — although that’s poised to blow your socks off with the Neil Simon comedy “Rumors” opening Sept. 28. Over the past few months, a changing of the guard has occurred. New Executive Director N. Andrew Toney has quietly and expertly taken the helm, and will be steering the theater group into the coming season and beyond. Production Manager Amy Lord has joined the staff full time; Education Coordinator and Teacher Jessica Nelson continues to shepherd the thriving MOS Youth Theater program with the help of Maui girl Dejah Padon, the youth program assistant and new box office manager. Michael Pulliam, the theater’s unofficial historian and purveyor of fascinating tales of yore, has had his role expanded — he is now the official curator and marketing director of the theater. Stephen Webb, delightful in his numerous roles onstage, has taken the job of production assistant. The atmosphere emanating from the theater feels fresh and vibrant as it enters its 2018-19 season. Some people may recognize Toney from his time here back in 1988 (although you may remember him as Neil, he has since decided to go by his middle name). 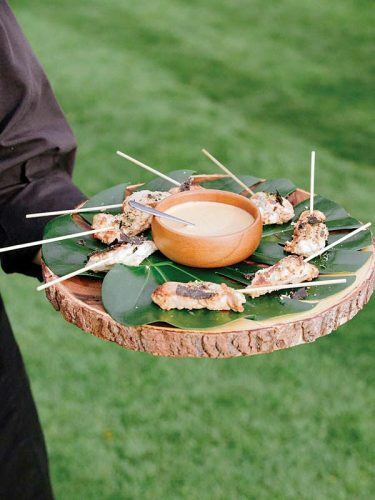 He served as the executive director of what was, at the time, the Maui Philharmonic Orchestra. Toney left Maui to raise his two children in Oregon in 1991, but always felt he’d be back. Those children are now adults and are off living their lives — daughter Tai White-Toney is working on her PhD in Australia; son Shea White-Toney is going to China to teach English. “Someone I was recently talking to told me that Maui called me home,” smiled Toney. Growing up in a blue-collar family in a small rural town of approximately 500 people in Indiana, Toney planned on becoming a high school orchestra or band director — he was in band and was the marching band drum major for two years. Once he entered Ball State University, in Muncie, Ind., however, he recognized that his skill set was on the administrative side of the arts. He changed his major and earned a bachelor’s degree in marketing and French, with a minor in instrumental music (he’s a “recovering oboist” — his words). He then earned a master’s in arts administration from Indiana University in Bloomington. 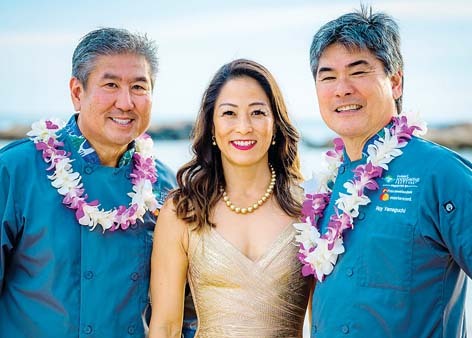 During and after college, he continued to play oboe and English horn semi-professionally — his quartet played at the groundbreaking ceremony for the Maui Arts & Cultural Center in the early ’90s. Toney passed his bar exam and earned his law license during an ill-conceived mid-life crisis — “I have no idea why I did that other than when I was a kid I thought it’d be fun to be a lawyer,” he chuckled. 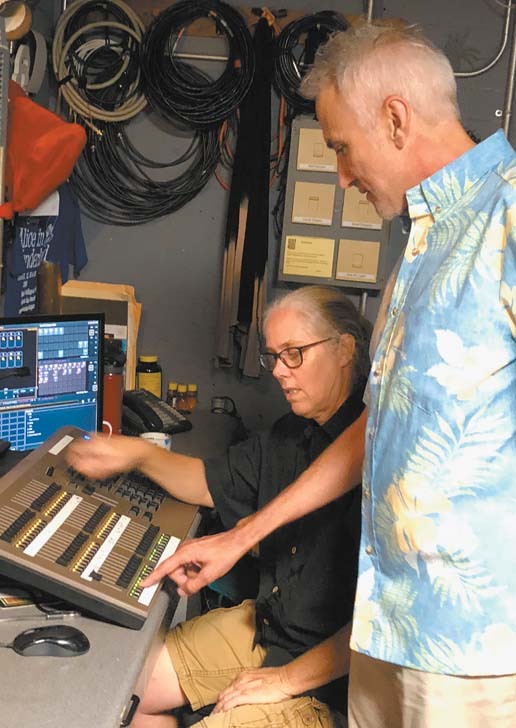 Toney was then hired as the theater manager at Williamette University in Salem, Ore. and was very content and settled there, when he heard about the opening at Maui OnStage. Toney experienced an aha! moment while waiting to hear about the job. He was at home when he received an email about one of his references who was out of town and unreachable. In the moment Toney was reading the email, he received a text from his reference saying when he’d be back in town — that was when Toney realized there was something to this; it wasn’t just a normal job application. Since moving back, Toney has been reconnecting with friends and settling in by baking bread. Another key role that needed to be filled was production manager. That job went to Lord. A Chicago native, she moved around a lot in her early years due to her father’s job as an auto industry executive. Lord wisely heeded her father’s advice to learn everything she could about theater so she’d always find work. She attended Columbia College in Chicago and studied in England before returning to the U.S. Her background includes skills such as master carpenter, master electrician and theater stage manager — she’d even worked at Harpo Studios, home of the “Oprah” show. Lord moved to Maui to start a family. 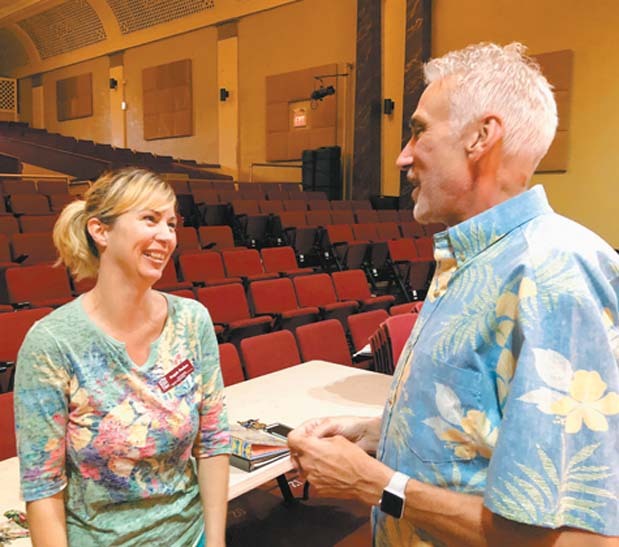 Gifted with a son, she quickly made her mark as jack-of-all-trades, at one time owning a wellness center in Makawao and running her own handyperson business before becoming stage manager of the MACC. 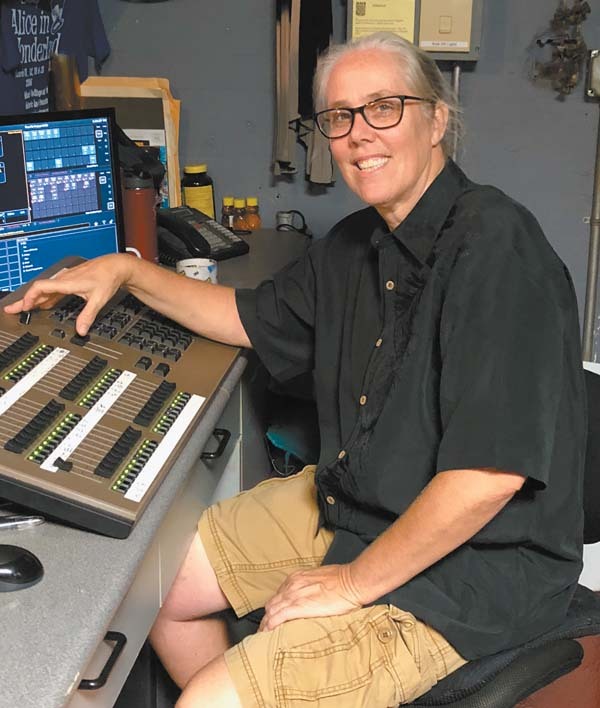 In 2008, she returned to being her own boss as she assisted Maui high schools by teaching technical aspects of theater. Nelson has been the education coordinator and teacher for the past year and a half. Having moved here from Oregon 10 years ago with her husband, Joe, a math teacher at H.P. Baldwin High School. Nelson was teaching first grade at Kihei Elementary when she became involved with MOS’s Creative Critters program designed for kids 4 to 6 years old. She realized she had a real passion for teaching kids theater. Her current responsibilities include choosing the youth productions to be staged, coordinating the MOS adult and youth classes, and teaching and directing classes and productions. Nelson and her husband are the proud parents of a one-year-old daughter, Anuhea, who has already shown a passion for theater and music after attending her first show, “Winnie the Pooh Kids,” when she was 10 months old. The biggest shoes to fill, bar none, are those of retiring box office manager extraordinaire, “Box Office Judy” Halip. Wanting to spend more time with her husband, Norman, and her grandson, Ben, Halip broke the news to MOS that she believed it was time to pass her ticket duties on to someone new. Lucky for MOS, Padon stepped up and offered to take on the box office role. Padon is a Baldwin High graduate who participated in Maui Youth Theatre (pre-cursor to Maui Academy of Performing Arts) when she was very young. 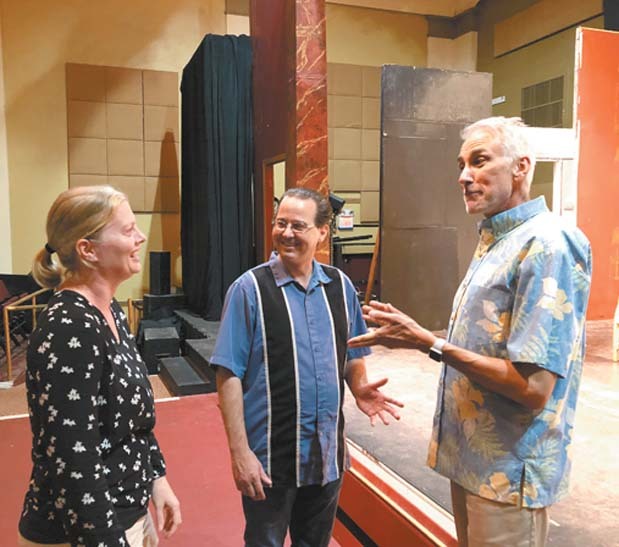 Classes at Baldwin with renowned drama teacher Sue Anne Loudon along with performances with Maui Community Theatre (as MOS was previously known) guided her education in the arts. Although she, like Lord, attended Columbia College briefly after high school, she realized she needed a gap year. She returned home to Maui and was immediately cast in MOS’s “A Chorus Line” in ’94. Amazingly, she was scouted by a producer from Seattle during that show and threw herself wholeheartedly into a 13-year-long dream career as a professional dancer. That career took Padon to places such as Japan, Reno and Las Vegas. Her last endeavor before returning to Maui was as executive dance director and head choreographer for Sin City Comedy and Burlesque, which was contracted with Celebrity Cruise Line on five ships with destinations around the world. Padon works with Nelson to keep the youth program going strong. Presenting four youth performances each year, along with seasonal classes to the community, Padon and Nelson provide youth and adults an outlet to express themselves in a safe and friendly environment, as well as to nurture an appreciation for the arts. “I love working with the youth and watching them grow,” professed Padon. “There is something special when you are a part of these aha! moments with them. “As box office manager, I am the first person people have a relationship with whether it is buying tickets, signing up for classes, auditioning or ushering for a show. Padon’s daughter, Makena, is active in MOS’s youth program and loves it. Her husband, John, was producer of the show “An Evening with Frank and Dean,” which played to astounding reviews in January 2017. Her son, Macallan, currently has no theatrical aspirations, but the family feels all hope is not lost. 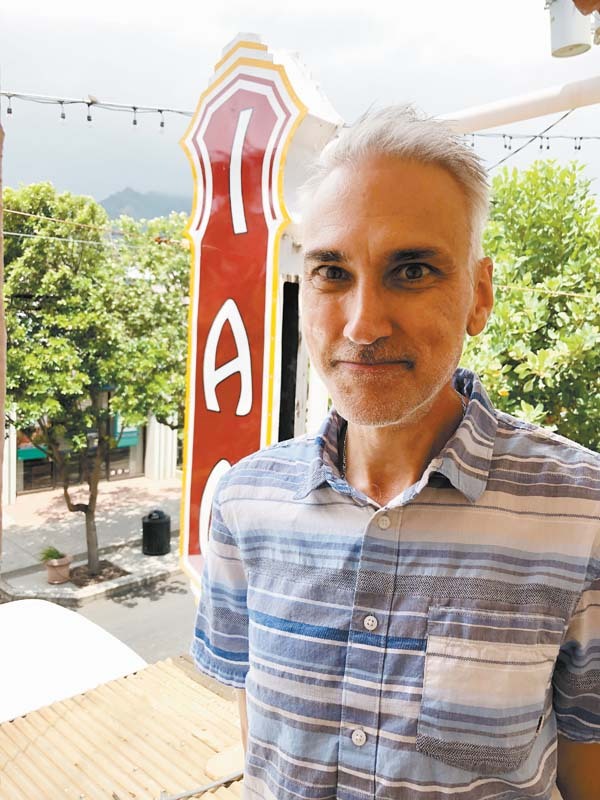 Much of what people know about the history of the theater is due to the diligent work of its Curator and Marketing Director Michael Pulliam (columnist for this paper’s Backstage feature in Maui Scene). Pulliam has been with MOS since 2008, when he was hired to help plan the theater’s 80th anniversary events. Pulliam had been active in theater since childhood. His father was a television executive who took his family on trips to see Broadway shows and tours. As an adult, he has worked at a variety of theaters around the country including The Cable Car Theater in San Francisco, the Steppenwolf in Chicago and the Friars Club of Beverly Hills in California. 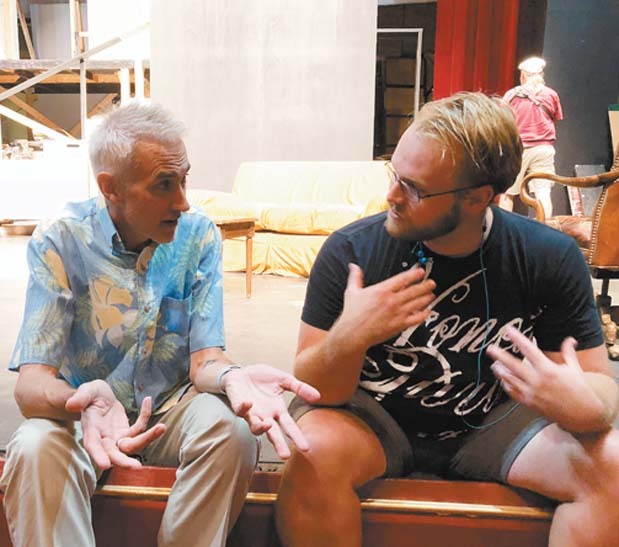 Another jack-of-all-trades, Pulliam is strongest promoting, marketing, managing special events (such as the Maui Fringe Theater Festival) and directing MOS main stage productions (such as “The Addams Family” in 2015, along with this season’s “The Pirates of Penzance” in March, 2019). As MOS’s “Radar O’Reilly,” Pulliam is the go-to man for information about the theater, past or present. Born and raised on Maui, Webb was homeschooled his entire life. He discovered his love of performing when he took singing classes at University of Hawaii Maui College. 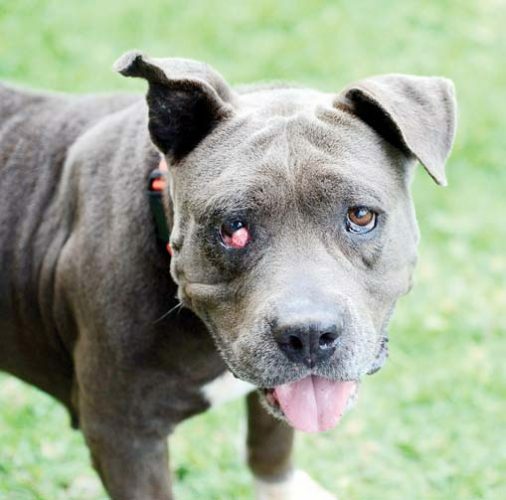 Beginning as many do, Webb was a familiar face at MOS as a volunteer since 2015. A little over a year ago, his hard work was rewarded and he was offered the position of production assistant. Webb “mainly does whatever [he’s] told,” and loves the physical labor aspect of his job. “There is something to be said for the physical, psychological and spiritual benefits one receives from labor that requires a lot of kinetic exertion,” he thoughtfully explains. In his time away from the theater, Webb moonlights as the bass drummer for the Isle of Maui Pipe Band, and has occasionally been seen around the theater in full kilt regalia. The buzz heard within Maui’s theater community is how excited everyone is about the future of MOS. With a sense of excitement and freshness abounding, the future of MOS at the Historic Iao Theater looks bright indeed. A stellar upcoming season is planned; strong youth shows for keiki and teens ages 5 to 17, youth and adult acting and dance classes continue; and deep community ties flourish with shows such as the Maui Fringe Theater Festival. “Every person I have met has been so warm and welcoming,” concluded Toney. “I realize that my new position is big and demanding, but I also know that it will be insanely rewarding — most things worth doing require a fair amount of energy. * Catherine Kenar can be reached at ckenar@mauinews.com.